Improved, brighter version of the ROBE RGBW LED module allows the DL4X Spot fixture to utilize the specifically modified colour mixing and dimming for extra smooth, stepless operation especially at minimum brightness levels while giving colour outputs brighter than a 1200 Watt discharge unit, but with an average very eco-friendly power consumption of only 250 Watts. To magnify the already perfectly smooth colours, fades and dimming, the DL4X features innovative LED driving system for improved, extremely high definition dimming curve for all R, G, B, W colours, with 18 bit resolution. 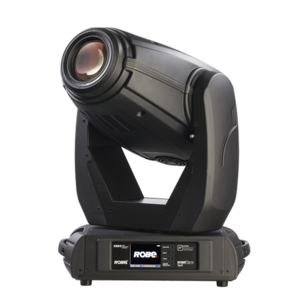 The optical system produces a very smooth, high quality light output of rich, beautiful colours with no shadows and utilizes a versatile zoom of 10 – 45 degrees. Effects features consist of a combination of static and rotating gobo wheels that have custom replaceable positions, variable frost, three-faceted prism, superfast iris and more... including full range dimming and variable strobe effects.